New players who place their first deposit will receive a 100% welcome bonus, which is up to £20, plus 25 extra spins. A minimum deposit of £20 is needed, and the bonus code FIRST20 is required so that they get this welcome bonus. PlayMillion Mobile Casino has other offers such as Daily Picks. PlayMillion Mobile Casino boasts an impressive range of online games, and there are around 320 available, including slots, roulette, video poker, blackjack and scratchcards. 16 different suppliers power the various games. Online slots are undoubtedly the main focus, with games including Guns N' Roses, Warlords, Mega Fortune and Arabian Nights. PlayMillion Mobile Casino offers a wide array of online games, which are available as a result of using many software providers. Players are guaranteed a constant supply of top quality games for their experience. Software providers include NetEnt, SkillOnNet, Novomatic, Amaya (Chartwell), Cadillac Jack, Barcrest Gaming, Merkur Gaming and Lightning Box. This casino supports many deposit options, with 28 ways of depositing cash. Credit or debit cards can be used, as well as a wide range of eWallets. There are three options of credit or debit cards, with a minimum deposit of £20, and no maximum deposit. eWallets have the same minimum deposit as credit and debit cards. Withdrawals can be done in precisely the same way as deposits. Withdrawals can be cancelled, and there is a pending time of up to 72 hours. It's worth considering that the completion time varies, depending on the payment method chosen. The absolute minimum amount that can be withdrawn is £50, and the maximum is £10000 per month. The languages that the site supports are English, Swedish, Finnish, German, Danish, Polish and Norwegian. Email and live support is provided for Finnish, Swedish, German, French, Italian, Russian, Danish, Greek, Hungarian, Polish, Norwegian, Portuguese and Turkish players. Phone help is offered in the same languages as email and live support. 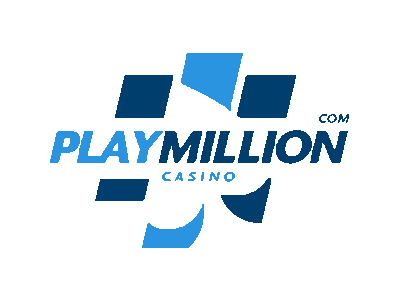 PlayMillion Mobile Casino offers a secure deposit and withdrawal system. Many popular providers can be used, including Bank Wire, Visa, Mastercard, Skrill and Paypal, as well as plenty of others. Deposits are accepted in pounds, euros, dollars, krona, Krones, rands and francs, so players from a range of countries can play. Players can use the live chat function on the site for guidance and support. There's also a 24/7 customer support option by phone and email that players can make use of, should they require assistance. The live chat option is available during regular business hours and is manned by real people. PlayMillion Mobile Casino offers 1200 games, 800 slots, 80 table games and 25 jackpot games, all playable with a desktop browser. PlayMillion Mobile Casino also has an incredible offering of mobile games for instant play. Live games are available, with new table and dealer games, from a range of providers.